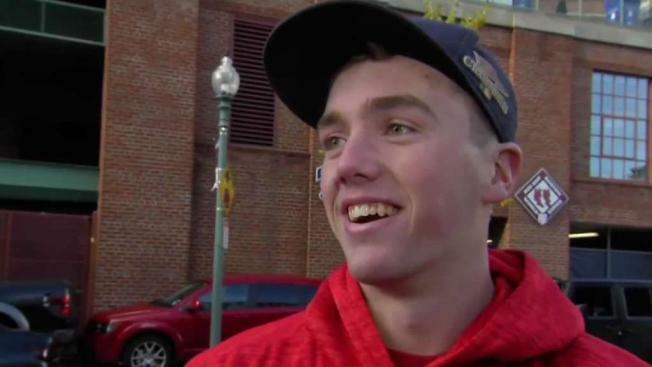 Fans outside Fenway park were fired up for tonight's game against the Astros -- and also looking ahead to tomorrow's Patriots game. The two teams with the most regular season wins this year face off tonight for a chance to go to the World Series. These teams are no stranger to one another. Last year, the Astros beat the Sox in the ALDS before winning the title. This year, the teams met seven times, with the Astros winning four of the match-ups. Additionally, Red Sox manager Alex Cora was the Astros bench coach just last year. Fans who were gathering outside Fenway Park on Saturday ahead of the game said they were excited for the game.